Fri, May 6, 2016, 08:10 am SL Time, ColomboPage News Desk, Sri Lanka. 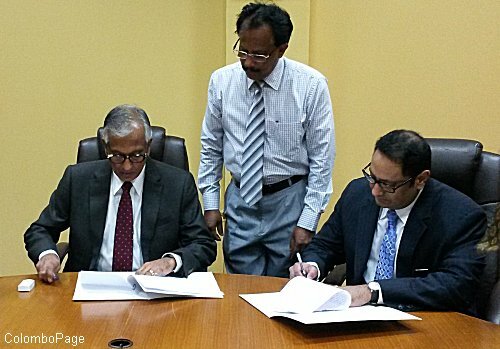 May 06, Colombo: An agreement has been signed between Sri Lanka and a United States company to provide job opportunities for more than 3,000 local nurses in U.S. hospitals. 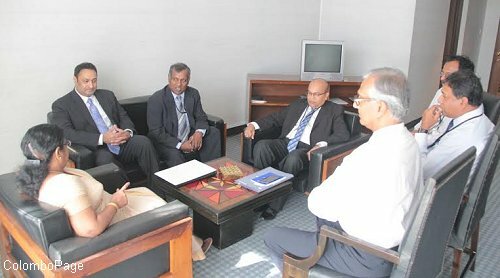 Karma Services, LLC, a Michigan, USA- based global health care recruitment provider, signed the agreement with the Sri Lanka Foreign Employment Bureau on 3rd May in the presence of Minister of Foreign Employment Thalatha Athukorala. Chairman of the Foreign Employment Bureau Mr. Raaj Obeyesekere signed the agreement on behalf of the Ministry of Foreign Employment while CEO of Karma Services Mr. Isaac Ullatil signed on behalf of the company. Under the five-year agreement Karma Services will provide the recruited nurses special training required to work in the hospitals in the U.S. and in language skills. The Company will provide all the expenses including training, and travel for the successfully recruited nurses. There are no recruitment fees associated with the selection process or recruitment of nurses at any stage. The first batch of the nurses, who will be recruited soon, will undergo training at a special center operated by the Foreign Employment Bureau. Karma Services, with offices located in the UAE, India and the United States, recruits international healthcare professionals in the industry. Specializing in the nursing, therapy, allied health and information technology fields, Karma Services recruits and places qualified English-speaking professionals with employers in the United States, the United Arab Emirates and South Africa.